I congratulate you on your ability to see the wood from the trees in theology. I marvel at the skill with which you have compressed and clarified my position.
. . . a true intellectual pleasure . 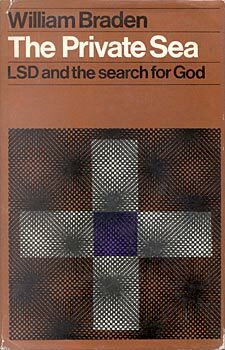 . . you certainly penetrated deeply into the roots of the LSD problem and have presented its many-sided aspects and its relationship to present intellectual trends well and with a thorough knowledge of the subject. He has written an excellent book; it is original, interesting, exploratory, incisive, obviously a work marked by his own involvement. . . . The great contribution Braden makes is to bring together under the single roof of this book some hitherto unrelated questions of first-rate importance.